My latest educational obsession is Nonviolent Communication (NVC). Since last November, I’ve attended several workshops, read a few books and joined a local practice group. I believe NVC can save the world. Rosenberg also notes that all humans have the same basic needs, and conflict arises as a result of varying strategies to meet those needs. This bit of knowledge has worked wonders in helping me understand the arguments in my Facebook Feed. For instance: all humans have a need for safety. Some wish to meet that need through stricter control of firearms while others feel safer if they personally carry a gun. Conflict often results in a power struggle, where each side strives to meet their own needs at the expense of the opponent. Nonviolent communication allows for a productive discussion of observations, feelings, needs and respectful requests. The process employs compassion and empathy, thus resulting in connection. When adversaries are connected and aware of each others needs, solutions flow with greater ease. This event will take place May 24, 6:30-8pm at the Cornerstone Coffeehouse in Camp Hill, PA. If you’re interested in attending, please register by calling 717.686.9116 or email events@taraeisenhard.com. There is a $10 per person suggested donation. 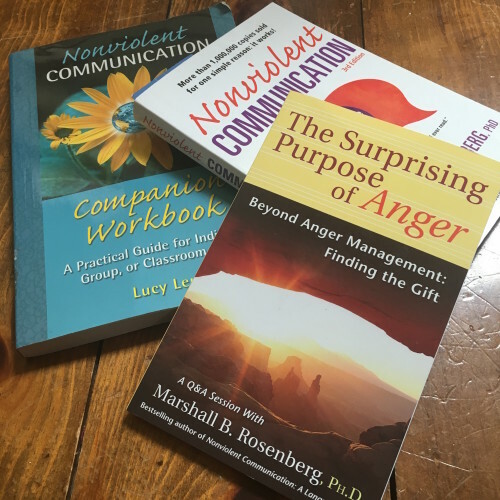 Posted in divorce, family, media and tagged communication, divorce, families, Marshall Rosenberg, needs, nonviolent communication, NVC, separation.